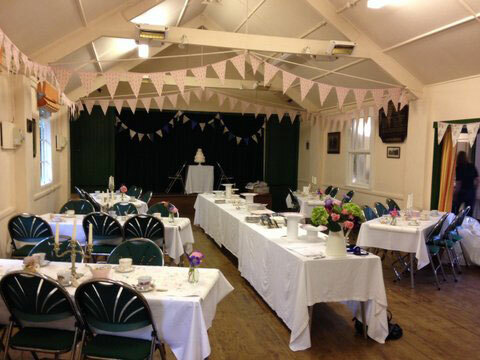 The Memorial Hall is available for hire for events, parties, wedding receptions etc. See below for details. 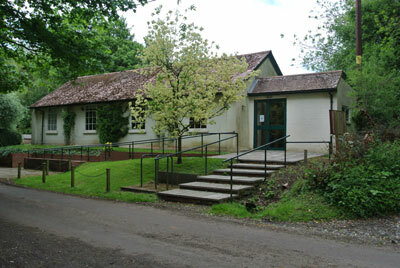 It is managed today by a Trust Committee headed by Ray Reed, as Chairman. The hall is versatile and has been used for numerous events, including meetings, lectures, Christmas parties, wedding receptions, buffets, cooking demonstrations, village shows, family gatherings and yoga classes. 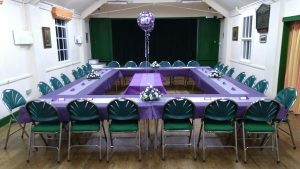 The hall accommodates 80 people sitting in ‘theatre style’ or there are 10 tables which can be set up for 80, leaving room for dancing. 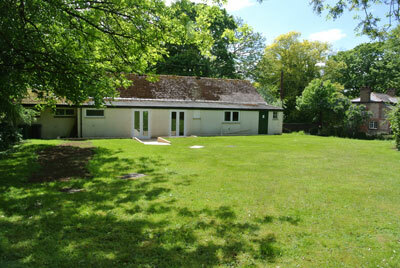 Kitchen equipped with 2 sinks, fridge, water boiler, kettle, electric cooker, microwave, crockery, glasses and cutlery for 50 people. 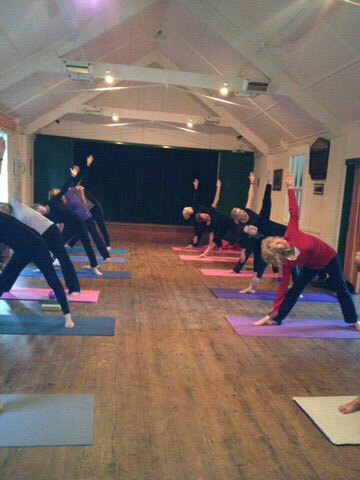 A yoga class in the hall. £15 per hour (non villagers). £9 per hour for Ellisfield residents and regular users. 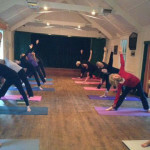 You can book online at ellisfield-hall.org (see Event List for Current Bookings and then go to Bookings to complete your booking). You will also need to complete a Hall Hire Agreement Form. Click here to bring up the form, print it off, fill it in and send it to Ray Reed at the address on the form. If you have any queries please contact Ray on 01256-381613; mob: 07850 937180.